Anxiety is the natural result of doubting the character of God. 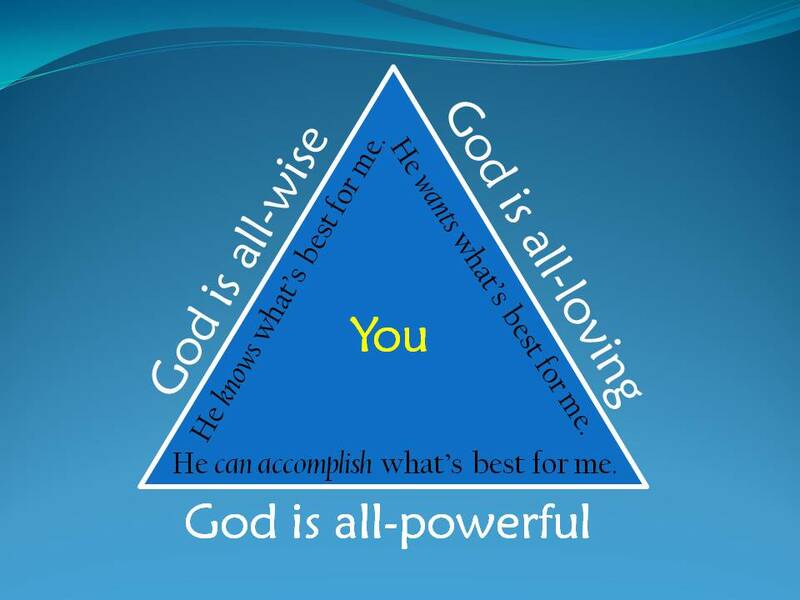 This diagram helps you think properly about God’s character in relation to your well-being. God’s wisdom means he knows what is best for you; God’s power means he has the ability to accomplish what is best for you; God’s love means that he genuinely wants what is best for you. Reflecting upon this triad is a helpful way to overcome anxiety. Whatever storm you face, you are safe within the confines of God’s love, wisdom and power. Anxiety will occur whenever you doubt one of these elements of God’s character. The diagram is also an excellent diagnostic tool for anxiety. It clarifies where you should focus your Bible study. For instance, if you doubt God’s goodness then study passages about his love (1 John 4:8). If you question his ability choose passages on his power (Jer. 32:17). If you question whether he knows what is best, then study passages on his wisdom (Rom. 11:34). Taken from Safe in the Storm: biblical strategies for overcoming anxiety published by Biblical Strategies. Available in Christian bookstores and with online retailers. This entry was posted in Uncategorized and tagged anxiety, attributes of god, character of god, worry.